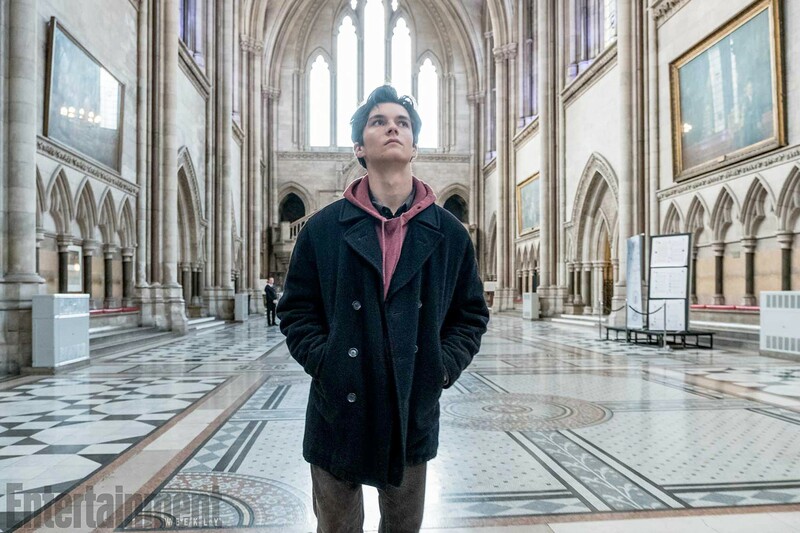 FAITH OVER LIFE Adam Henry (Fionn Whitehead) is a teenage boy who's refusing a life-saving blood transfusion based on his religion, and a judge must decide whether or not to force him, in The Children Act. Richard Eyre (Notes on a Scandal) directs Ian McEwan's story about Judge Fiona Maye (Emma Thompson), who's presiding over the case of Adam Henry (Fionn Whitehead), a teenage boy refusing a life-saving blood transfusion based on his religion. Meanwhile, Fiona's marriage to Jack Maye (Stanley Tucci) is crumbling. 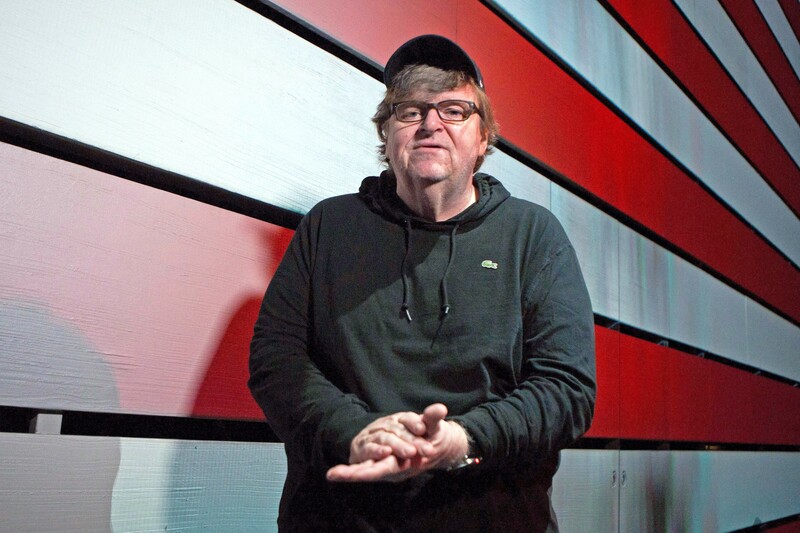 Writer-director and controversial leftist polemicist Michael Moore (Bowling for Columbine, Fahrenheit 9/11, Sicko, Where to Invade Next) takes aim at the Trump era, asking how we got here and how we get out. I think of Michael Moore as the left's Dinesh D'Souza, except Moore is not a convicted felon who was pardoned by Trump. Moore does, however, engage in similar tactics as D'Souza, cherry picking facts and examples to bolster his narrative. In this case, Moore's story is that Trump never wanted to be president and his entire campaign was a stunt to get NBC to pay him more as the star of his former reality TV show The Apprentice. Moore also demonstrates that Bernie Sanders was robbed of his shot at the presidency, including making the case that the Electoral College electors of states such as Vermont completely ignored the will of voters, who overwhelmingly chose Sanders over Hillary Clinton. Inside his explanation of how Trump inexplicably made it to the White House is also a scathing indictment of Michigan governor Rick Snyder and his woeful handling of the Flint water crisis, and just to make sure liberals aren't too smug, he skewers Obama for his lack of action in Flint and pillories the Democratic establishment for not staying true to its core values and for misreading the public. Moore's claim is that the Democrats went wrong starting with Bill Clinton, whose centrist positions, mass incarceration of minorities, and dismantling of the social safety net turned Dems into de facto Republicans. It's all very depressing. Yet, there are also many moments of levity and poignancy. True progressives will certainly be buoyed by the film, but mainstream Democrats may feel rebuked. A conservative, should one accidently attend the film by walking into the wrong theater, will also enjoy Obama, both Clintons, and the Democratic power structure being attacked by Moore. He certainly makes an interesting case, but like D'Souza, I question Moore's ability to be fair. 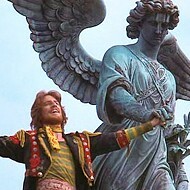 He's a one-sided filmmaker, and this time around he's both preaching to and attacking the choir. Many of the film's most emotionally potent moments are thanks to Emma Gonzales, the Stoneman Douglas High School shooting survivor who spoke so effectively and passionately at the March for Our Lives rally. 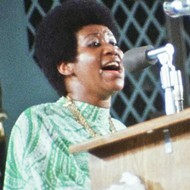 Moore certainly capitalizes on her and other activists' supercharged spirits. He introduces us to pissed-off liberals running for various offices, suggesting that if progressives stop appeasing conservatives and meet them head on, liberalism can win control again. Through polls and stats, Moore makes a convincing case that the majority of the U.S. supports progressive positions, and that conservatives' stranglehold on power is manufactured by manipulating the system. About this, I buy his argument completely. Between gerrymandering and voter suppression, the right has seized control. More troubling, Democrats are complicit, taking money from the same corrupting influences and propping up the same greed machine. Gregory Plotkin (Paranormal Activity: The Ghost Dimension) directs this horror film about a masked killer tormenting a themed amusement park. Is it all part of the show, or are people really dying? There's a mildly intriguing concept trapped inside of the wildly un-intriguing snooze fest that is Hell Fest. A group of young adults visit a horror themed carnival and find themselves prey to a masked serial killer disguised as a staff actor. Whether or not you've been to events in the same vein—Mid-State Scare or Universal Studios' Halloween Horror Nights for example—the idea of a real killer masquerading as part of the show is terrifying. 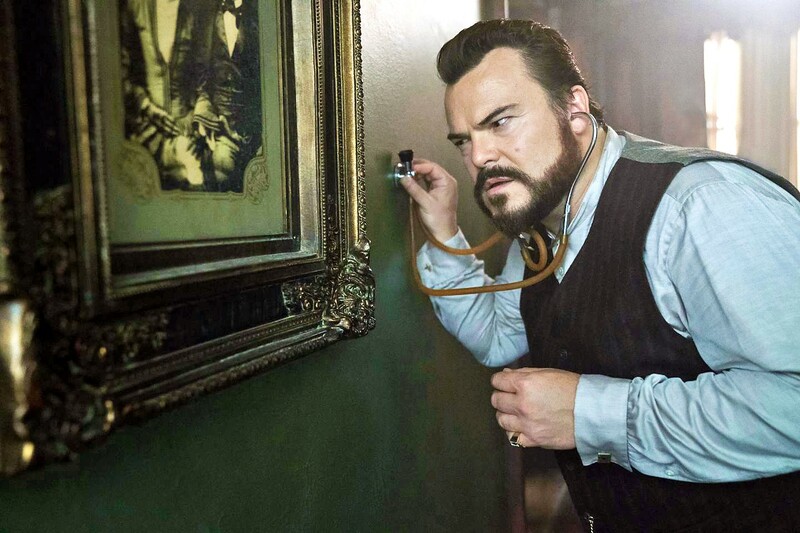 Unfortunately, the premise never lives up to its potential and the only thing I found myself dreading throughout the film was yawning to the point of cramps. Amy Forsyth (Channel Zero: No-End House) plays Natalie, more of a place-card holder than a character. 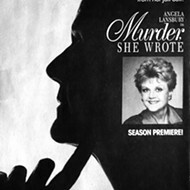 The only three things we ever learn about her are revealed through dialogue in the first ten minutes, and all three involve fellow place-card holders: She used to be roommates with Brooke (Regina Edwards, The Bold and the Beautiful), has a major beef with Brooke's new roommate Taylor (Bex Taylor-Klaus, The Killing, Arrow), and has a massive crush on Gavin (Roby Attal). The crush is mutual according to Brooke, who gossips about Gavin, who constantly pesters her about whether or not Natalie is joining them for Hell Fest. Once the group gets inside the park, though, the introductory exposition has little to no effect whatsoever on the chain of events that follow. 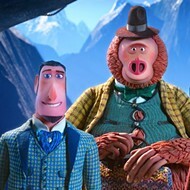 The characters' personalities are completely interchangeable. If Brooke and Taylor, the new roommate, had a Freaky Friday experience, the only alteration to the plot would be the order in which they die—or almost die and ultimately survive ... I'm not telling. Marking the 150-year anniversary of the release of Louisa May Alcott's classic 1868 novel, Clair Niederpruem directs this contemporary retelling of Little Women, which follows the March sisters—Meg (Melanie Stone), Jo (Sarah Davenport), Beth (Allie Jennings), and Amy (Elise Jones)—as they grow into adulthood, under the watchful eye of their mother Marmee (Lea Thompson). GAY AWAY? 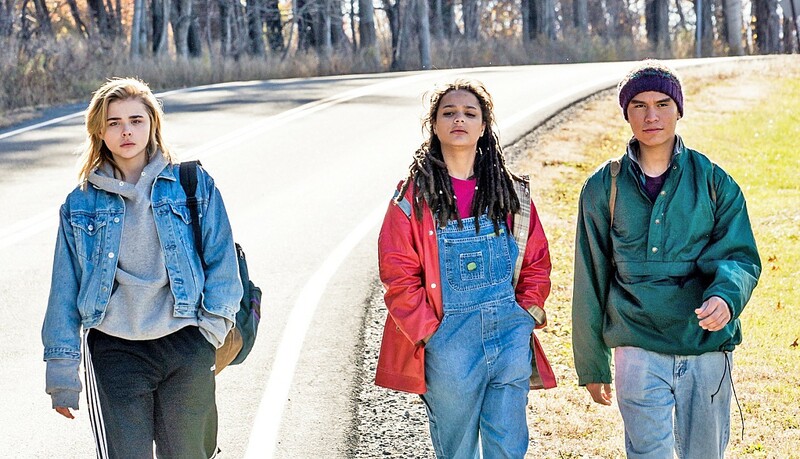 Cameron Post (Chloë Grace Moretz, left) is a teen sent to gay conversion therapy by her conservative guardians, in The Miseducation of Cameron Post. Co-writer/director Desiree Akhavan (Appropriate Behaviour) helms this story about a teenage girl (Chloë Grace Moretz) forced into gay conversion therapy by her conservative guardians. GOOD DOG! 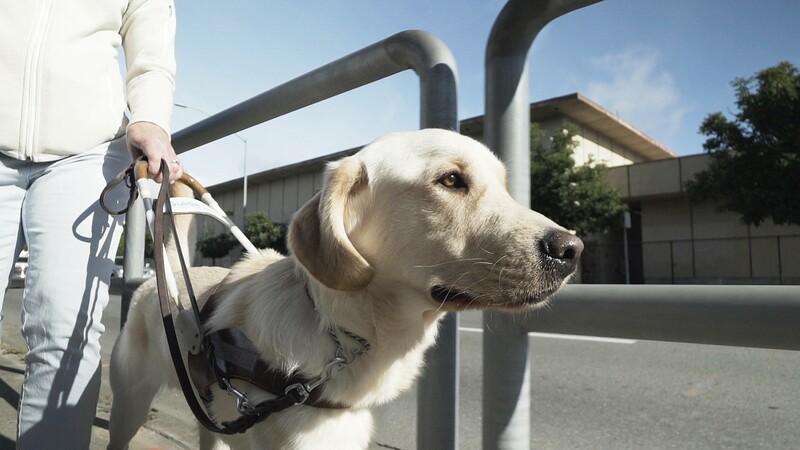 Pick of the Litter follows a litter of puppies from birth, through training, and onto their work as Guide Dogs for the Blind. 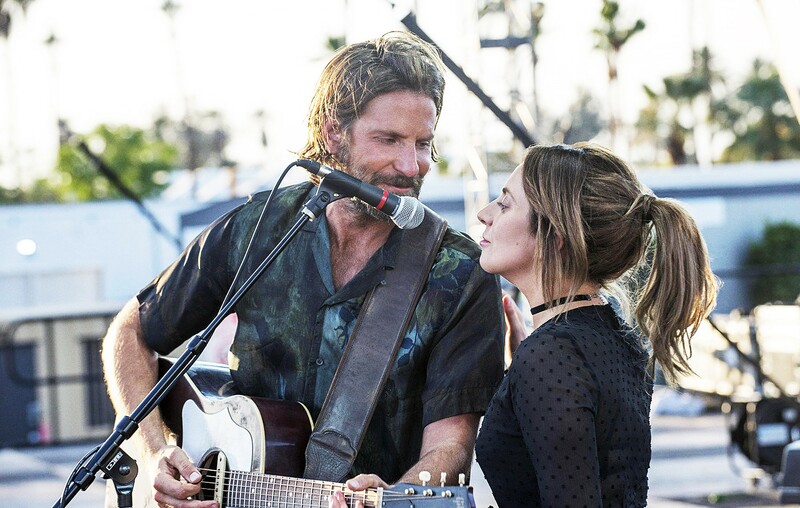 STAR POWER A seasoned performer near the end of his career (Bradley Cooper, left) discovers, nurtures, and falls in love with a talented newcomer (Lady Gaga), in A Star Is Born. 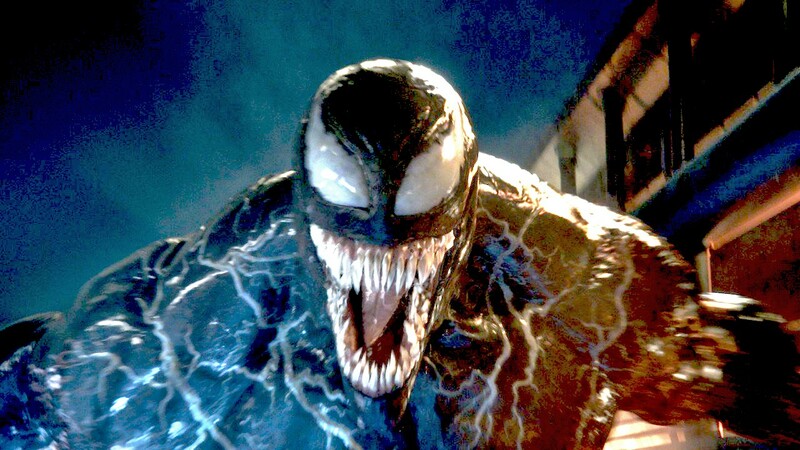 SMILE FOR THE CAMERA When a journalist bonds with an alien symbiote, the result is Venom, a powerful hybrid creature played by Tom Hardy in Venom. Yann Demange ('71, 2014) directs this film based on the true story of teenager Richard Wershe Jr., who became an undercover informant for the FBI during the height of the crack epidemic in 1980s Detroit. When the feds threaten to throw his father in jail for illegally selling guns, Rick will do whatever he can for his family. 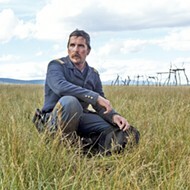 Hollywood has a flair for dramatizing stories based on real life—leaving out important details, glossing over others, and adding in spurts of half-truths to help with plot points. White Boy Rick is no exception. It's entertaining with engaging actors, a sweet 1980s wardrobe, and down and dirty scenes of Detroit that include a roller rink! But, it sort of always feels like something's missing, or as an audience member, I was always missing something.